EBOLA IS COMING, EBOLA IS COMING…BE AFRAID! BE AFRAID! Like most of the writers, I read newspapers, online news feeds, magazines and other materials gathering information and ideas. I’m willing to bet that even as I write this there are a couple of dozen Hollywood writers and maybe that many novelists frantically plotting and outlining or writing treatments for Ebola-based tales of doom and gloom, death and destruction. I cannot be counted among that opportunistic horde. However, I predicted we’ll see Ebola episodes on NCIS, NCIS: LA, NCIS: New Orleans, Blue Bloods, Hawaii Five-0, Madam Secretary, CSI, Criminal Minds, Person of Interest and many others. Okay, okay, maybe only one of the NCIS shows (the scripts of all three are interchangeable, so what works for one works for another). There will likely be an Ebola-Over-The-Top movie on the SciFi Channel (Sharkbola or Ebola Tsunami) and very likely one on the Lifetime Channel (the tender and tragic tale of a nurse and her lover caught in a terrible epidemic). Hallmark will probably steer clear of such a grim subject. A couple of low-budgets movies may spring up and somewhere down the down the road there undoubtedly will be a high-minded, big budget, pretentious movie about a stalwart medical team battling the vicious virus (and we’ve already seen that at least twice in Outbreak and Contagion). UPDATE: I have just been informed that Ridley Scott and Fox Television are teaming up on a limited-run Ebola-based series! OMG! OMG! West Africa has been at the center of the Ebola storm, primarily Guinea, Liberia, and Sierra Leon. The death toll there has topped 4,500 (and maybe many more given that Liberia has been accused of under-reporting the true number of Ebola-related fatalities). What? No! That’s asinine and stupid; not uninformed or ignorant, but stone cold stupid! FACT: In the U.S. there has been one (1) Ebola-related death. Just one! Two healthcare workers who cared for the one dead man have been infected and are on the mend. So why all the panic? Honestly, in my lifetime, I cannot recall another virus or contagion so terrifying so many people. They’re peeing in their pants like little kids watching Jaws for the first time. It’s hysterical nonsense created by panic and a “me, too!” mentality. 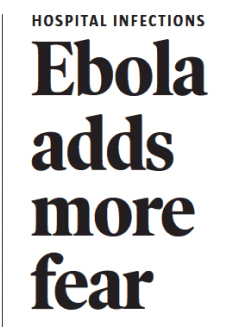 Frankly, as fodder for a novel, TV show, movie or even a short story, the Ebola thing is weak sauce. I’m far more concerned about the paralysis that has stricken children in Colorado, Massachusetts and a few other places. Now that’s scary! I recently mentioned in a blog that I write with music playing in the background. In fact, as I write these words, the Glenn Miller Orchestra is playing a batch of World War II era songs. I like Miller, Tommy Dorsey, Denver’s own Paul Whiteman and other big band leaders. I’m not certain why, but I think it’s because we didn’t have television in Monte Visa until I was about eight. Before then my mother had the radio on all day and KSLV played a lot of big band and swing music from the 1930s and 40s. These days I load my old DVD player with a selection of music that matches the mood I want to capture in what I’m writing or simply to maintain a nice mellow mood while I’m at the computer. For example, I have several Ottmar Liebert DVDs. If you’re not familiar with his guitar, I highly recommend it, especially his Nouveau Flamenco and Borrasca albums. Some places classify him as “New Age,” whatever that means. His music washes over you like fresh cool breeze on a hot day. I also like a pair of Mediterranean-themed albums by guitarists Chris Spheeris and Anthony Mazzella that I found somewhere years ago. 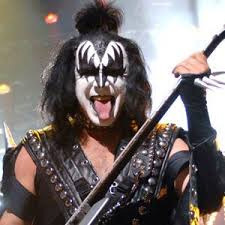 Those times I’m feeling like I need high-energy, high-impact music playing, for example when I’m writing fast action or violence, I put in the Rolling Stones or AC/DC, who, by the way, have a new album coming out December 2 (I was not paid for the plug, drat the luck). Quite often, the music I listen to while I’m writing becomes the unofficial background music to whatever I’m work on (in my head, anyway). Twenty-five years ago I listened to the Sleeping Beauty Ballet performed by the London Symphony Orchestra over and over while I wrote my novel Dark Defender. I can’t explain why, but I did. I know it was at least 25 ago because our sons gave us the DVD player in my office for Christmas 1990 (“Holy crap,” I cried. “This here’s one of them new-fangled DiVD players! Wish I knew what a DiVD was and I had one!”) and my Sleeping Beauty recording was on vinyl. I can understand writers who don’t want music playing in the background. It can be distracting. Occasionally I catch myself cavorting to some tune. And, never a dancer of note, my cavorting is not pretty thing; it gives ugly a whole new meaning. Music can also get into your head, derailing whatever train-of-thought is rolling through or simply dragging you from where you are to where you don’t need be, usually down some old memory lane a particular melody evokes. Still, I find music soothing, sheltering and every once in awhile, suggestive of a time or place or mood long forgotten, but appreciatively remembered. Over on my Webpage I’m finally getting my 7 Questions series started. The idea is pretty simple; I ask seven questions — the same questions for each respondent — concerning their writing and writing process. Since I primarily write horror, I’m approaching horror and dark fantasy writers. As of this writing, I have twelve “yeses,” two “thanks but no thanks,” seven without any response and a couple still pending. That puts my yes/no ratio at about 50 percent, an excellent positive response rate if I do say so myself. Originally, it was going to be “5 Questions,” but that didn’t seem to be enough and “10 Questions” was too many. I settled on the seven question format after I surveyed members of the Colorado Authors’ League. Their responses truly helped assemble some excellent questions. Writers take private pleasure in talking about our work. Let’s face it, we’re like mice living in the walls; seldom seen, occasionally heard and often driving the people around us nuts. As a breed, writers are a solitary lot, closeted away in small rooms with a computer, books, legal pads, notepads, steno pads iPads, perhaps a stereo or mp3 player and an array of other “comfort” items. Whether we live in cities or towns, villages or isolated cabins deep in the woods or far out in the desert, we are hermits. Some writers work in absolute quiet and others, like me, always have music playing in the background. (I once told to friend that I write with music playing to drown out the hoof-beats of approaching death. Too morose? Sorry, it’s in my nature). However, the long and the short of it is that having an opportunity to talk about how we do what we do without sounding like pompous windbags is rare. I hope people enjoy reading the weekly responses to the 7 Questions. Personally, I find that learning about the work habits of other writers is infinitely fascinating and I hope readers do as well. This week the legendary Billie Sue Mosiman was featured. Next up is President of the Horror Writers Association and Stephen King biographer, Rocky Wood. 7 Questions is updated every Monday. My good friend and colleague, Yvonne Montgomery graciously invited me to write a little something about my work and my writing process. Their insecurities and condescension aside, I find their objections to my work tedious and uninteresting. I offer no apologies for what I write and frankly none are due. As with any writer, I write what I write to be true to myself. I have friends who write mysteries, romances, thrillers, adventure yarns and so on. Writing is our addiction; horror is my drug of choice. On the other hand, I know I’m not churning out sterling prose that will survive the ages. I am the author of escapist fiction, cheap thrills that hopefully provide a little fun and fright for my readers. As an aside, I should add that if, while writing, I can scare myself, I’m fairly certain I’ll scare my readers. Currently, I’m finishing a novel about young witches that will be published under a pseudonym and then I’ll rewrite ALIEN PLAGUE, my zombie novel that I wrote in the winter of 2011-12. I’ve been letting it “cool down” for a time. Rather than the typical tale of a zombie apocalypse, ALIEN PLAGUE features zombies infected with a virus from space, brought to earth after NASA blasts a killer asteroid into small meteors that rain down on earth. I deal with a tight group of characters including a sketchy ex-soldier, a stalwart nurse, a scientist and his mistress and a cheerleader and her boyfriend, all fighting to survive in a decidedly hostile, dangerous environment. How does my work differ from others in the horror genre? 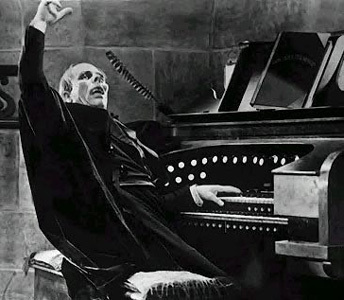 The horror genre has many facets, just as do the other prominent genres. Werewolves and vampires have given way to zombies and witches. It’s ever changing and readers’ tastes can turn on the success of a popular movie, television program or book. Coming up with an idea that hasn’t been done before is not impossible, I suppose, but certainly improbable. My protagonists are generally real people, not street punks or sociopaths, serial killers or hitmen. I want characters with whom my readers can identify. Much like Stephen King and Dean Koontz, I like to write stories about ordinary people caught in extraordinary, frightening situations. Once I have the germ of an idea, I typically come up with a title before doing anything else. The title is important for resonance. As an example, my first published novel was MOONSLASHER (Critic’s Choice, 1987). I created the title one afternoon and within a week or two, I had the bulk of the story germinating. The same held true for its sequel, MOONS OF THE BLOOD HUNT. My quasi-vampire novel ON WINGS OF LEATHER (originally published in 1994 by Leisure as THE DEVOURING) began with the image of a winged “vampire” circling a high mountain peak; the title came later. THE OCCULT MADONNA (Critic’s Choice, 1988) came about when I stumbled on a poem written by J.C. Powls in 1909 with that title. It was simply too good to pass up. Once I have a title and concept, I start creating characters. I have two prerequisites for character names: they must have resonance, which is different for every writer, and each name must be dissimilar from others in the story. I know that sounds obvious, but I have often encountered books in which the protagonists are John and Jim or Gary and Larry. In ALIEN PLAGUE the principle characters include Nick, Lydia, Joe, Angela, Vaughn and Monica. I don’t get confused and, more importantly neither will the reader, at least not by the characters. With the title, concept and characters on paper, I can start writing. I subscribe to the advice from such writers as John Steinbeck and my friend Margaret Coel: “Write fast!” Buzz through the first draft; get the story written. Clean it up in rewrite. Toward the end of his life, the late Gore Vidal said that all his contemporaries were dead and therefore he had no one for whom to write. I found that quite sad. I believe writers should write for themselves, not for friends or enemies or frenemies, but always for themselves. Beyond my writing, I’m learning to use Scrivener software for writers. While inexpensive, it’s relatively complex and has so many beneficial features I’m anxious to master. Although I have been retired for nearly seven years, I am always busy, in my office by nine every morning writing, editing or researching. For better or worse, I’m a writer. I go to sleep at night thinking about whatever I’m working on and I wake up every morning anxious to get back to it. As I said, writing is my addiction. I’m a retired flak catcher (public relations) for Colorado public higher education with a BA from Adams State College (now University) and a master’s in mass communications from the University of Denver. Raised in the San Luis Valley, my wife and I have lived in Denver since 1972 after I was discharged from the army. We have to sons in their 40s and a granddaughter in college. This has been a wonky year for me and I’ve let my blog, webpage and writing suffer. Now, I’m determined to get back to it. My friend and colleague Yvonne Montgomery, currently writing the Wisdom Court series (available in The Kindle Store and other digital outlets), has reminded me the writers must write. I harp on that a lot; however, I’ve let myself get away from writing this year and it is starting to weigh on me. Thus, it seemed appropriate to post some of the material I have in various stages of completion. Although first, I will confess that my Black Claw series, which is non-horror, old pulp-style action/adventure tales from World War II is dead. R.I.P. I originally planned ten novels in the series that would carry the story through VJ Day. Unfortunately, the two novels I’ve published have not sold well. As a test, I advertised them in August at Pulp Fest, a big conference in Cleveland. Unfortunately, the results were disappointing. Such is life. When something doesn’t work, you try something else. I have lived my adult life by the words of writer Fredrick Brown: “If you want something badly enough, you’ll get it; and if you don’t get it, it just goes to show you didn’t want it badly enough.” No excuses, no blame-game, no finger pointing. I’m responsible for my life and it is my decisions and my actions that define my outcomes. Oops, sorry, didn’t mean to lecture. My late friend Mary Jo Adamson used to tell me I had good ideas for books. The truth is that’s always been the problem. I have more ideas than I can write. Then again, ideas are a writers stock and trade so having too many ideas is like a farmer having too many crops to harvest. Two of my books that are written, DARK DEFENDER and A LESSER GOD RISING, will be published soon. Additionally, I hope to have ALIEN PLAGUE, my zombie novel, published by Halloween. A DEVIL LONG CAGED and DEATH RAY are nearly completed and I continue to work on them with a goal of wrapping them up next year. There are two other novels finished and two that I have outlined — in my fashion — and will work on those over the next couple of years. So, all of that said, between this blog, my Facebook page and my website, I hope to keep everyone apprised of my work. I appreciate all the support and encouragement I’ve received and I hope to get back into a writing mode that provides many more books. I discovered the story of the Lewis-Jones Gang while doing some research in Denver Public Library’s Western History Department. It was one of the happy happenstances of researching on microfilm. And, too, one of the pitfalls. It’s easy to get distracted when plowing through old newspapers. Some story, completely unrelated to your target research, will present itself and, like a child chasing a runaway balloon, off you go in pursuit. So it was with the Lewis-Jones tale. I became obsessed with their story and found amazing primary sources in 11 different newspapers from Cleveland to Los Angeles, Kansas City to Denver. What emerged was a narrative of blood and violence, betrayal and vengeance. Frank Lewis was from a family of misfortune. His father led all three of his sons into crime and their lives ended badly. A fourth offspring, Eva, tried hard to stay on the lawful side of the street, but love for her brother caught her in a downward spiral of crime. Dale Jones was a hard case from early adolescence when he killed his first man. Robbery and murder became his calling card and once he hooked up with Margaret “Margie” Celano, the pair became an early version of Bonnie and Clyde. Toss into this volatile mix the willful, violent robber Roscoe “Kansas City Blackie” Lancaster and the rebellious Roy Sherrill and you had the makings of what proved to be an amazingly dangerous and deadly as any Colorado had ever experienced. THE BIG BLOW-OFF is 80 percent true and about 20 percent conjecture, extrapolated from the historical record. It is a story largely lost in a sea of Twentieth Century crime. 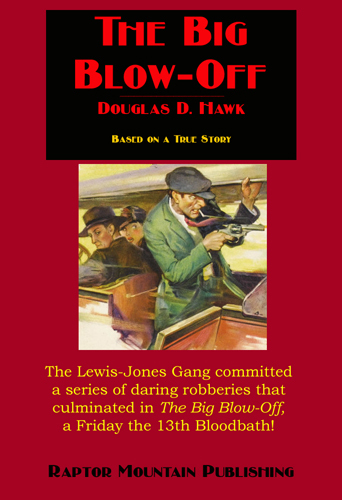 The 1920’s and 30’s were so rife with gangsters that men like Frank Lewis, Dale Jones and Kansas City Blackie became little more than bit players in a virulent drama. However, within the annals of Colorado crime, nothing before the Big Blow-Off so rocked the state. 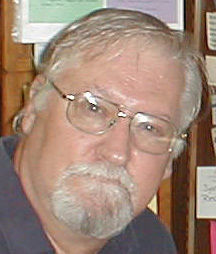 Gary Brandner was a well known horror writer who passed away September 23, 2013, from cancer of the esophagus. 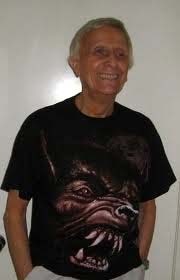 He wrote 30 novels, the most famous being The Howling, which launched a successful film franchise and earned him “an obscene amount of money.” He and I were not friends, although we exchanged letters after meeting at the 1991 Horror Writers Association annual meeting in Redondo Beach, Calif.
Gary and I met at an evening social/cocktail party. He was warm and amiable and we chatted about the meeting and writing. A Famous Writer was also in attendance. The FW brought a video tape of the Eerie, Indiana TV pilot. He set it up at a table in the corner, announced that he would be playing it for anyone interested. A couple of people joined him while the rest of us remained in the central part of the room, drinking quantities of alcohol and talking. Gary was clearly annoyed at the FW’s attitude in so far as the rest of us, probably 40 or 50 people were being scolded by the FW and his two sycophants. “F— off, (FW),)” he yelled in response. There was a tense moment and, quite shocked, I thought FW might march over and go to blows with Gary. Didn’t happen. FW and his followers returned to their video and the rest of us returned to our conversations and drinks. I really admired Gary Brandner for not kowtowing to the FW and, believe me, many other attendees did. I write horror because I enjoy it as both a writer and a reader (or viewer). There’s nothing quite like having someone tell me they read a book I’ve written and it scared them; warms the cockles of my hearts. For example, my latest Kindle book is my 1994 novel ON WINGS OF LEATHER. It was published by Leisure as THE DEVOURING. It received some nice notices and was named one of the best horror novels of the year by Science Fiction Chronicles. People tell me it’s a scary book and reviewers liked to point out that the creatures in the book were vicious and blood-thirsty and not environmentally-deprived being worthy of our pity. I would add that they were horny, too. Leisure had a book scheduled entitled THE DEVOURING and it apparently fell through. All the publicity had gone out and orders were coming in and there on the editor’s desk was my query letter. He snapped up my book to fill the void. Hence the cover — evil yellow eyes staring through a broken door — that had nothing to do with the story. I hated the title from the get go, but in a phone conversation with the editor, I was told ON WINGS OF LEATHER was too similar to a romance Leisure had just published entitled ON WINGS OF LOVE. Somehow I doubt the readers of ON WINGS OF LOVE would get confused by my books, since they most likely would never consider reading it. Sales might have been stronger if Leisure had not marketed it by Douglas D. Hawk and Robert Kangas. I assume Kangas was the author who did not deliver a manuscript. The double names confused buyers and made book signings exceedingly difficult to schedule. I conceived ON WINGS OF LEATHER while working at the University of Denver. I had a window in my second floor office that looked towards Mount Evans and the Front Range and in some daydreaming fugue state I visualized a winged creature flying around a mountain peak. The image haunted me for years until I exorcised it by writing the book in which winged death paralyzes a small Colorado mountain town as FBI agents and local law enforcement officers seek a solution to a series of horrible deaths. Overseeing the investigation is Roberta Ferris and FBI Special Agent Richard Case aided by Morgan Blaylock, a reluctant local with enough problems of his own. ON WINGS OF LEATHER is available at the Kindle Store.